Your floors need a major upgrade and you’ve always loved to look of hardwood; however, you have a major concern: your dog. While dogs may be man’s best friend, they can be an enemy to hardwood flooring. It’s not that they mean to cause damage, but their claws, toys and urine (if your pooch isn’t housetrained or has accidents on occasion) can cause serious damage to hardwood floors. So, should you put off getting the hardwood floors of your dreams because you have a dog? Not necessarily! 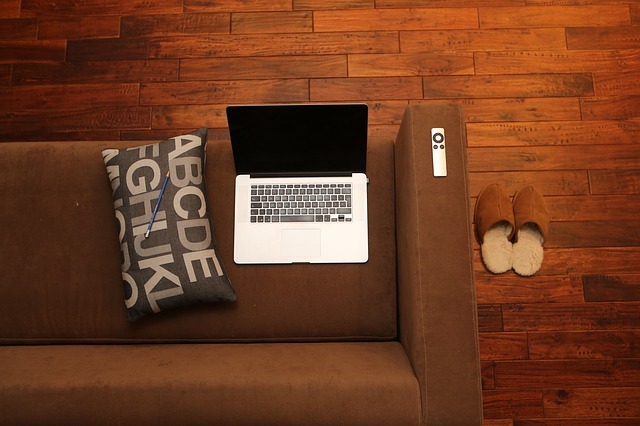 Hardwood flooring, especially floors that are made of particularly hard wood, is built to last. 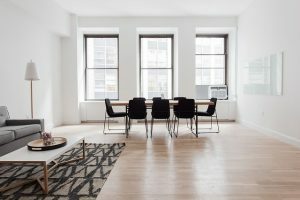 And, while you many people want to avoid scratches and dings, they actually add character to your flooring; they are a sign that your house has been lived in and can serve as a reminder of all the wonderful experiences you have had in your home. With that said, you probably don’t want extensive damage done to your hardwood flooring, and that’s totally understandable. So, how can you have great looking wood flooring when you have a dog? The key is to choose a type of flooring that will stand up to wear and tear. Here are some tips that will help you select the best hardwood flooring that both you and your four-legged family member will love. Also known as the Janka Rating, hardness is one of the most important properties to consider when selecting hardwood flooring, especially if you have a dog. The higher the Janka Rating, the harder the floor will be, which means less dents and dings from puppy toe nails and toys. Brazilian cherry, mesquite, and Santos mahogany are the hardest wood flooring options. Southern yellow pine, black cherry and Douglas fir are on the lower end of the hardness scale, so dents and dings are more likely. Keep in mind, however, that even if you choose one of the hardest types of hardwood, it is can still sustain scratches. Hardness doesn’t have any bearing on scratches. Finish is a protective layer that is within or on top of hardwood flooring. The thicker the finish, the less susceptible the floors will be to scratches. However, that doesn’t mean that your floor will remain scratch-free if you have a dog, especially if he is heavy. In order to make scratches less noticeable, opt for a matte finish. It reflects less light, which will make scratches harder to see. 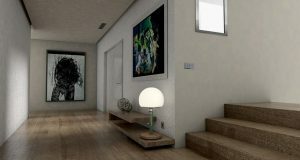 Wood flooring is available in different textures. In order to make dents and dings less visible, consider hardwood that has a wire brush or hand scraped texture, especially if you are going to choose a wood that has a lower Janka Rating. A textured floor has a rustic, homey look, and any dents or dings your dog makes in it will blend right in. While stain may look nice, if you have a dog, it may not be the best option. 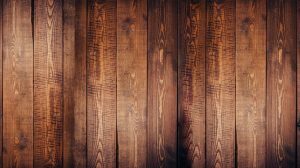 If the floor does become scratched, it will be much more visible if it’s stained, particularly if the scratch is deep and cuts through to the bare wood. However, that’s not to say that you want to avoid stain because helps to protect the surface of the floor. 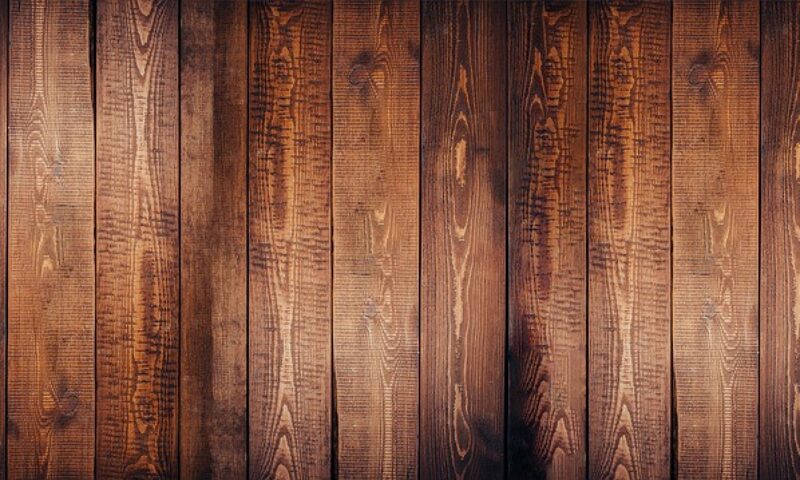 Opt for a stain that is similar to the color of the natural wood. If it’s much darker, scratches will stick out like a sore thumb. By keeping these tips in mind, you will be able to select dog-friendly hardwood flooring that will look great in your home. To ensure your floors continue to look as beautiful for years to come, make sure you take proper care of it. Wipe up any spills or urine, sweep up pet hair and any dirt and debris your dog may leave behind, and keep your pup’s nails trimmed. If you have a dog and you want hardwood flooring installation, we will be happy to help you select the best option to suit your needs. Give us a call today or stop on by and we’ll gladly discuss the hardwood flooring options we offer that are great for dogs! 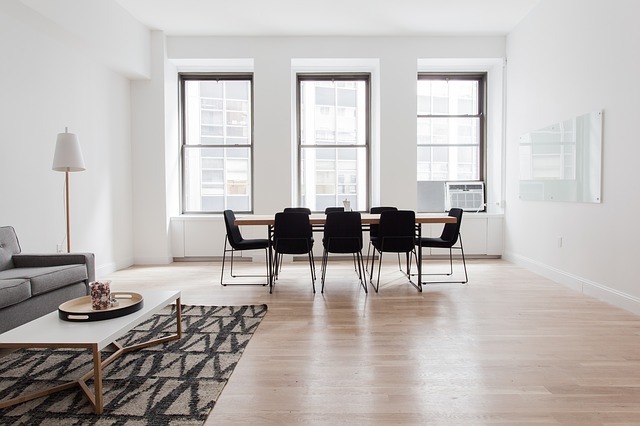 Lastly, if something does happen, there’s always the option of getting wood floor refinishing which can help if the floors do get nicked or scratched.